Add an elegant sparkle to designs with this Swarovski chaton. This crystal component features a shape similar to a traditional diamond cut with a crown and cutlet. Indeed, the gemstone-like cut facets, with their complex multi-layering and angles, take crystal one step closer to the diamond. The shimmer effect is a special coating specifically designed to capture movement. This effect adds brilliance, color vibrancy, and unique light refraction. You'll love adding this bold chaton to your designs. This chaton features a golden brown color with the shimmer effect bringing iridescent purple, pink, and blue tones. Shop settings for SS39 stones here. Gleaming beauty fills this Swarovski Rivoli. The Rivoli shape resembles the point cut of a diamond with the addition of 16 facets in a circle that meet in the center of the stone. Use this component for embellishment or as a stunning focal. This versatile piece will work in a variety of projects. Embed it into epoxy clay, seed bead around it, add it to a setting, and more. It's the perfect size for all kinds of designs. The shimmer effect is a special coating specifically designed to capture movement. This effect adds brilliance, color vibrancy, and unique light refraction. It's a great option for performance costumes, as this crystal will glisten beautifully under lights. It features a golden brown color under the shimmer effect. Shop settings for 12mm Rivolis here. This Swarovski Bicone pendant is almost the same as our faceted Bicone beads. The difference lies in the stringing hole, which is drilled through the top of the shape on the pendant. The result is a dangling crystal you can use anywhere. Try stringing this pendant between other beads for a subtle drop, or use wire and chain and dangle multiple for a dramatic look. 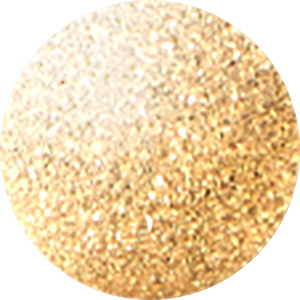 This drop is versatile in size and features a golden brown sparkle. Make a sparkling statement in your style with this Swarovski bead. This bead features the popular Bicone shape that tapers at both ends, much like a diamond. The multiple facets cut into the surface of the crystal create a sparkling effect that is sure to catch the eye. This bead is small in size, so you can use it between larger beads for a fun pop of color. The shimmer effect is a special coating specifically designed to capture movement. This effect adds brilliance, color vibrancy, and unique light refraction. This bead features a golden brown color with the shimmer effect bringing iridescent purple, pink, and blue tones. The effect has been applied two times for even more shine. This XILION cut Light Colorado Topaz Bicone from Swarovski will add a subtle yellow to your designs. You can mix it with Montana blue crystals or garnet gemstones for two excellent color combinations. The innovative XILION cut features alternating large and small facets. This design creates amazing brilliance and is sure to be a fabulous addition to your beaded designs. Elegant sparkle fills this Swarovski pendant. This lovely pendant features a simple pear shape and is covered in precise-cut facets that sparkle brilliantly. The teardrop-like shape will add sophistication to any necklace design and the Austrian crystal will glitter like no other. Use it with a bail to ensure your pendant hangs straight and even. The shimmer effect is a special coating specifically designed to capture movement. This effect adds brilliance, color vibrancy, and unique light refraction. Showcase this bold pendant in your next necklace. This pendant features a golden brown color with the shimmer effect bringing iridescent purple, pink, and blue tones. This pendant features a golden brown color with the shimmer effect bringing iridescent purple, pink, and blue tones. Elegant sparkle fills this Swarovski bead. This bead features the popular Bicone shape that tapers at both ends, much like a diamond. The multiple facets cut into the surface of the crystal create a sparkling effect that is sure to catch the eye. This bead is small in size, so you can use it between larger beads for a fun pop of color. The shimmer effect is a special coating specifically designed to capture movement. This effect adds brilliance, color vibrancy, and unique light refraction. This bead features a golden brown color with the shimmer effect bringing iridescent purple, pink, and blue tones. With the classic Rivoli faceting and a horizontally drilled hole in the back of this Swarovski crystal button, this little gem will make a wonderful clasp or focal piece. String it on a head pin and incorporate it into your earring designs. Embellish your next craft or sewing project with this lovely little button. It features a dusty golden brown sparkle, perfect for elegant looks, earthy projects, and more. Elegant golden brown sparkle fills this Swarovski bicone bead. This bead features the popular Bicone shape that tapers at both ends, much like a diamond. The multiple facets cut into the surface of the crystal create a sparkling effect that is sure to catch the eye. This bead is great for adding sparkle to necklaces, bracelets, and even earrings. 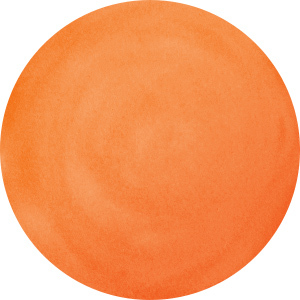 This bead is tiny in size, so you can use it as a small pop of color in stringing, add it to your bead embroidery and seed bead projects, and more. This Swarovski Bicone bead in Light Colorado Topaz is just the thing for adding a touch of golden yellow to your designs. Attach a cluster of these tiny beads to a chain for a dangly pair of earrings or try them with larger Swarovski crystals and gemstone beads for an eclectic necklace. The XILION cut Bicone has twelve alternating large and small facets, displaying a high brilliance and sparkle. Since the Light Colorado Topaz crystal in this design is the same shade as its gold-plated setting, it looks like liquid gold. Try this crystal setting from Swarovski wherever you want an eye-catching gold element. The setting features four gold prongs to hold the multi-faceted round crystal in place. Two sets of holes in the back allow you to easily add the setting to your designs. You can use it instead of a normal link, small charm or sew-on rhinestone. Try it on high-quality craft projects. The Briolette bead from Swarovski is one of our favorites. We love it as a spacer or strung together for a sparkly chain of crystal. Swarovski is unparalleled in quality, cut, and design. Be sure to get this Briolette bead today. It features a golden brown sparkle that you can use with golden tones, neutral color palettes, and more. Use this small bead in necklaces, bracelets, and earrings. Display amazing sparkle in your designs with this Swarovski Flatback. The celestial-inspired XIRIUS style uses an innovative and unique multilayer cut, for a look full of record sparkle. It's perfect for a dazzling display in your designs. The shimmer effect is a special coating specifically designed to capture movement. This effect adds brilliance, color vibrancy, and unique light refraction. It's a great option for performance costumes, as this crystal will glisten beautifully under lights. This crystal features a golden brown sparkle. Decorate designs with the beautiful sparkle of the Swarovski 2088 SS30 XIRIUS Flatback in Light Colorado Topaz. The celestial-inspired XIRIUS cut uses an innovative and unique multilayer cut, for a look full of brilliance. This Flatback will add exceptional sparkle and light refraction to all of your projects. It's perfect for a dazzling display in your designs. Use it to decorate jewelry, accessories, home decor and more. 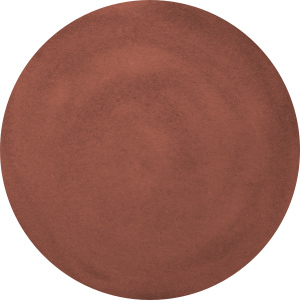 This Flatback features a light brown color with golden undertones. Fascinating sparkle fills this Swarovski Flatback. The celestial-inspired XIRIUS style uses an innovative and unique multilayer cut, for a look full of record sparkle. It's perfect for a dazzling display in your designs. The shimmer effect is a special coating specifically designed to capture movement. This effect adds brilliance, color vibrancy, and unique light refraction. It's a great option for performance costumes, as this crystal will glisten beautifully under lights. This crystal features golden brown brilliance. Display amazing sparkle in your designs with the Swarovski 2088 SS34 XIRIUS rose Flatback in Light Colorado Topaz. The celestial-inspired XIRIUS cut uses an innovative and unique multilayer cut, for a look full of brilliance. This Flatback will add exceptional sparkle and light refraction to all of your projects. It's perfect for a dazzling display in your designs. Use it to decorate jewelry, accessories, home decor and more. This crystal features a pale golden brown glitter. The golden hues of Light Colorado Topaz in this round Swarovski crystal are sure to catch someone's eye the next time you add it to your designs. Displaying a classic round shape and multiple facets, this bead can be added to any project for a burst of sparkle. The simple yet elegant style makes this bead an excellent supply to have on hand, because you can use it nearly anywhere. Add a golden touch to your designs with the Swarovski H2038 SS10 Hotfix XILION rose Flatback in Light Colorado Topaz. This lovely rhinestone displays a gorgeous front surface with precise-cut facets that twinkle in the light and shower looks with sparkle. Its smooth back is affixed with heat-activating glue so adhering to surfaces is easy. With the 2038 XILION rose Hotfix you can bring a fresh, eye-catching shimmer with asymmetrical facets and a mirrored back made from real silver for more intensity. This Flatback features a creamy golden color full of brilliant sparkle. Sparkling elegance fills the Swarovski 2088 SS20 XIRIUS rose Flatback in Light Colorado Topaz. The celestial-inspired XIRIUS cut uses an innovative and unique multilayer cut, for a look full of brilliance. This Flatback will add exceptional sparkle and light refraction to all of your projects. It's perfect for a dazzling display in your designs. Use it to decorate jewelry, accessories, home decor and more. This Flatback features a pale golden color. For a subtle sparkling effect, try the Swarovski 5000 3mm faceted round in Light Colorado Topaz. This compact bead features a light brown color that sparkles magnificently. This faceted round bead in Swarovski's 5000 style is the perfect accent or delicate spacer bead for your beaded jewelry creations. Use only Swarovski beads when you want to look your absolute best. This bead looks excellent in seed bead embroidery or weaving designs as a sparkling accent. Enhance your designs with the breathtaking sparkle of the Swarovski 2088 SS16 XIRIUS Flatback in Light Colorado Topaz. The celestial-inspired XIRIUS cut uses an innovative and unique multilayer cut, for a look full of brilliance. This Flatback will add exceptional sparkle and light refraction to all of your projects. It's perfect for a dazzling display in your designs. Use it to decorate jewelry, accessories, home decor and more. This Flatback features a pale golden brown glitter. For a unique gleam in your designs, try this Swarovski bead. This bead features the popular Bicone shape that tapers at both ends, much like a diamond. The multiple facets cut into the surface of the crystal create a sparkling effect that is sure to catch the eye. This bead is great for adding sparkle to necklaces, bracelets, and even earrings. The shimmer effect is a special coating specifically designed to capture movement. This effect adds brilliance, color vibrancy, and unique light refraction. This bead features a golden brown color with the shimmer effect bringing iridescent purple, pink, and blue tones. Neutral color meets brilliant sparkle in this Swarovski 1088 SS29 XIRIUS Chaton in Light Colorado Topaz. This crystal component features a shape similar to a traditional diamond cut with a crown and cutlet. Indeed, the gemstone-like cut facets, with their complex multi-layering and angles, take crystal one step closer to the diamond. This Chaton displays a sparkling beige color. Shop settings for SS29 stones here. You'll love creating unforgettable style with this Swarovski cube bead. This modern bead features a cube shape with precision-cut facets for sparkle from every angle. This bead is perfect for creating a playful feel in your designs. Try it in necklaces, bracelets and even earrings. It's sure to add excitement to your style. This lovely bead features a golden brown sparkle.